The Kominsky Method is coming back for Season 2 on Netflix,. The Chuck Lorre, single-camera comedy with Michael Douglas and Alan Arkin will return for eight more episodes, with production expected to start in late January. Check out the announcement video below! The sun isn’t setting yet on the once famous Sandy Kominsky and his longtime agent Norman Newlander. 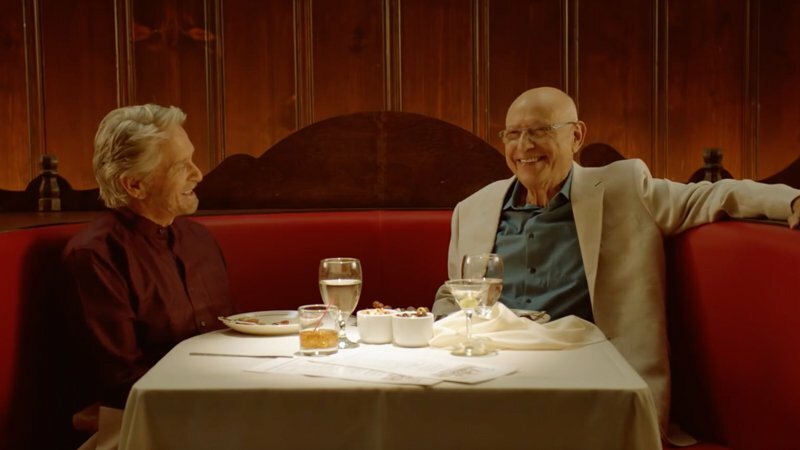 Academy Award Winners Michael Douglas (Kominsky) and Alan Arkin (Newlander) star as two friends tackling life’s inevitable curveballs as they navigate their later years in Los Angeles, a city that values youth and beauty. Both comedic and emotional, The Kominsky Method is an 8-episode, half-hour single-camera show created by 8-time Emmy Award Nominee Chuck Lorre. The Kominsky Method also features Nancy Travis, Sarah Baker and guest stars including Lisa Edelstein, Emily Osment, Graham Rogers, Danny Devito, Ann-Margret, Jay Leno, Patti LaBelle, Ashleigh LaThorpe and more. The series is written by Al Higgins, David Javerbaum and Chuck Lorre, who also directed the first episode. Lorre, Higgins and Michael Douglas executive produce the series which is produced by Chuck Lorre Productions, Inc. in association with Warner Bros. Television. The Kominsky Method had its world premiere at AFI Fest on Saturday, November 10 in Los Angeles. The festival premiered the first three episodes of the series, which is the first scripted episodic to be presented as a Gala Screening at the festival. The show was nominated for three Golden Globes, winning two, and was selected as one of AFI’s TV Programs of the Year 2018. It also received two Critics’ Choice nominations. The post The Kominsky Method Renewed for Season 2 appeared first on ComingSoon.net.